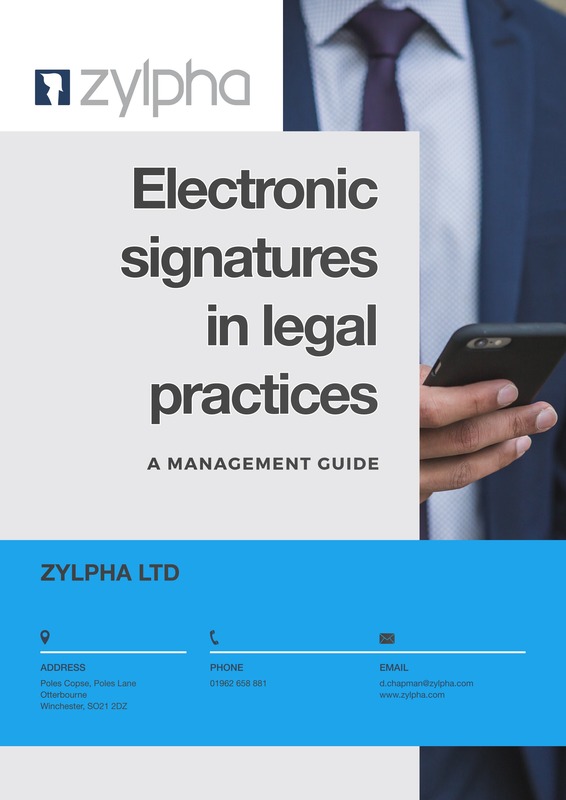 Zylpha’s Free eSignature Management Guide Advocates A Best-Practice Only Approach. A free eSignature Management Guide, from Zylpha (www.zylpha.com), is advocating that law firms pursue only Best Practice approaches when introducing the technology. The Guide, highlights both the benefits of a full professional approach compared to the many pitfalls of attempting to cut corners. Commenting on the guide, David Chapman Marketing Manager of Zylpha added, “Taking a chance on a half-hearted, lightweight approach is just not an option for many businesses who only want to use the very best, lowest-risk technology. These are systems that both stand the test of time and boost a practice’s reputation. However, in some cases a sheer lack of information is responsible for some organisations heading down the wrong road entirely, with disastrous consequences. In such cases, what sometimes looks like a cheaper option can ultimately prove to be an extremely costly error! This press release was distributed by ResponseSource Press Release Wire on behalf of Zylpha in the following categories: Personal Finance, Business & Finance, Education & Human Resources, Public Sector, Third Sector & Legal, Manufacturing, Engineering & Energy, Computing & Telecoms, Transport & Logistics, Construction & Property, for more information visit https://pressreleasewire.responsesource.com/about.